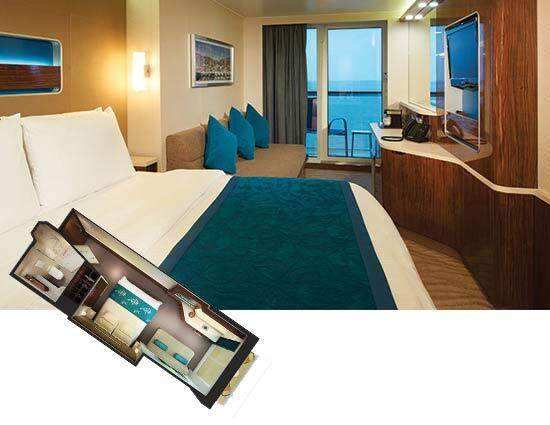 These staterooms feature a large picture window and two lower beds that convert to a queen-size bed. Total Approx. Size: 161 sq. ft.. Actual accommodations may vary. Floor-to-ceiling glass doors open to a private balcony with sweeping views. 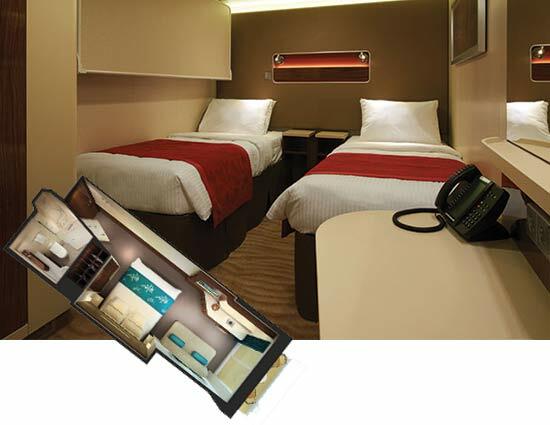 So enjoy beautiful sunrises, breathtaking sunsets and a cozy and comfortable room designed with you in mind. Total Approx. Size: 207 sq. ft. Balcony Size: 32 sq. 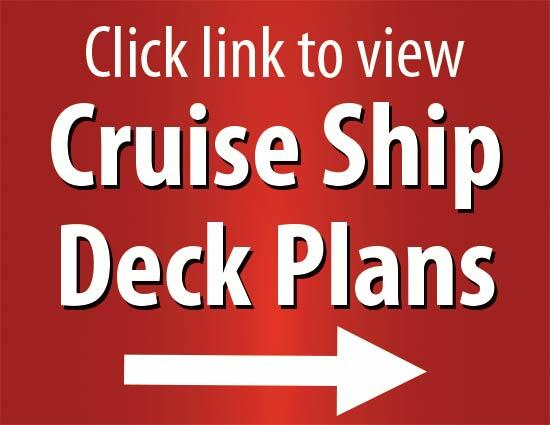 ft.
Click here to view Norwegian Getaway's deck plans on Norwegian Cruise Line's website. Content that you may read on Norwegian's website may not be applicable to your tour, please speak with a YMT Travel Consultant for clarification. Your journey begins on your overnight flight from the United States to bustling Copenhagen. Kastrup Airport, one of Europe’s oldest, is located just off of Copenhagen, on the island of Amager. Your first stop is Warnemünde, a German seaside village with broad sandy beaches and a proud nautical tradition clearly on display in its 19th century lighthouse. Founded as a small fishing village in the 13th century, Warnemünde now boasts a wonderful seaside promenade, the Alte Strom or “Old Channel,” full of cute shops and restaurants and absolutely perfect for strolling, beertasting, and people watching. 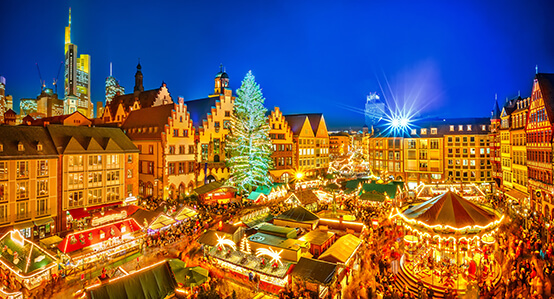 Not to mention Warnemünde’s close proximity to Berlin— which you can see on a shore excursioin offered through NCL. Estonia’s capital city is home to one of the best preserved medieval city centers in the world, and the UNESCO World Heritage Site of Old Town Tallinn offers visitors much to see. During your time here, we recommend visiting one of Tallinn’s 60 museums, catching some live folk music, and sampling some delicious marzipan! Spend 2 days at port in Russia’s second largest city. St. Petersburg was first settled in 1611 before being overtaken almost a century later by Peter the Great, who built it into a powerful seaport that would open Russian to trade with the rest of Europe. Modern St. Petersburg is generally viewed as Russia’s cultural heart— home to stunning buildings like the Winter Palace, Kazan Cathedral, and the breathtaking Hermitage Museum, founded in 1764 by Empress Catherine the Great, plus wonderful dining and shopping options. Guests who wish to explore independently will need to obtain a Russian tourism visa. 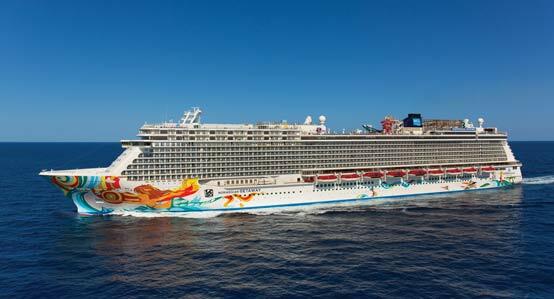 To waive the visa, please book an optional excursion directly with NCL. 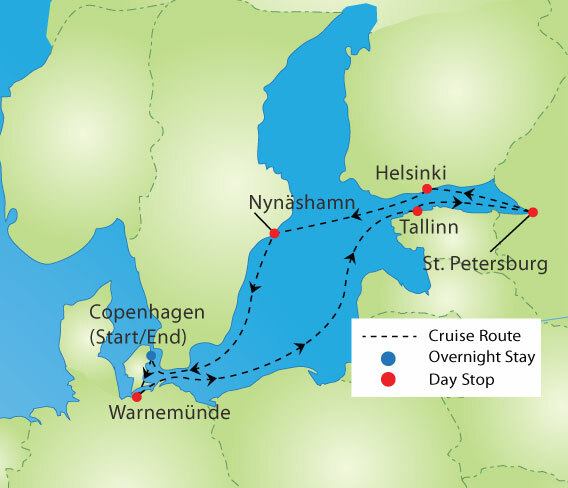 Sail the Gulf of Finland overnight to Helsinki, Finland’s capital city. Finland is renowned for its impeccable design sense, and there is no better example of that keen national eye for detail than Helsinki. There is a stunning mix of old and new buildings, parks, promenades, and seaside boardwalks—all created with walkability and pedestrian enjoyment in mind. Today’s port stop is Nynäshamn, Sweden’s favorite local getaway. The harbor is often full of seafaring Swedes in boats of all sizes, and the adorable waterfront restaurants and boutiques are a great vantage point to take it all in. Nynäshamn is not far from Stockholm, and NCL offers a wide variety of optional tours to Sweden’s bustling capital. Take one last day to enjoy Copenhagen after an early morning disembarkation. We recommend circling back to your favorite sites to explore them in depth at your leisure. Before you leave, be sure to try rød pølse (red sausage) from one of the many hot dog stands. It’s Denmark’s favorite street food, and an inexpensive, delicious taste of what local life is like!